Now that you have a beautiful LED lighting system installed and operating, we need to talk about some important next steps. Just like any other home or business investment, you will need to give your equipment some attention from time to time in order for it to operate properly. RGB Lights is here to support you even after your LED lighting has been purchased and installed. We are able to service and maintain your lighting system to keep it looking amazing for many years to come! Let’s take a look at some of the important categories within LED lighting service and maintenance that you should be aware of. Lighting service and maintenance is a very broad topic. Knowing exactly what you need to have maintained or serviced on your lighting system will help us to figure out the most logical plan of action. Having an idea about what services you need and want will also help to get your LED lighting system operating at its fullest potential. We understand that you are probably sticking to a budget for your lighting setup. If this is the case, it’s very important to have an understanding of all the pieces that will require service and maintenance so that you can stick to that budget. Try to think about what you want to accomplish with your lighting system maintenance. RGB Lights understands that this may not always be as easy as it sounds. Our team of experts can help you decide what exactly you need, and design a package specifically for you. Some possibilities include maximizing efficiency to save on lighting costs, extending the life of your LED lights, improving the lighting that you already have in place, and optimizing energy savings. This goes without saying, but health and safety will always take priority over the other things mentioned above. Another thing to keep in mind when designing a maintenance and service plan is the fact that you are making an investment. You are spending the money now to get your LED lighting system operating safely and efficiently so you can save money in the long run. Once you have covered the basics and have all of the necessities checked off the list, you can start thinking about the aesthetically pleasing upgrades with what is left in your budget. For example, you may decide you would like to add some LED lighting that will wow customers when they walk into your building. Or, leave a lasting impression on them so they come back when they need your services again. Narrowing down what is most important for your company will help a LED lighting company, like RGB Lights, service and maintain your system while sticking to your budget. There are many benefits of a well-maintained lighting system, but saving energy is an outstanding benefit for our world today! The lighting service and maintenance company can add lighting controls as a way to maximize the efficiency of your LED lighting system. Many people don’t even think to switch the light off when they walk out of a room. They also may not realize the amount of energy that is being wasted when the light is on but nobody is around to use it. By implementing lighting controls, you won’t have to worry about forgetting to turn off the lights. The lighting controls will take care of everything for you! Being able to dim a light is another benefit of a lighting control system. It is less harsh on the eyes and this feature also saves a ton of energy when bright lights aren’t needed. When you have the ability to dim the lights, the lamps themselves will last much longer! As a result, replacements will not be needed as frequently. Want to learn more about adding lighting controls to your lighting system? 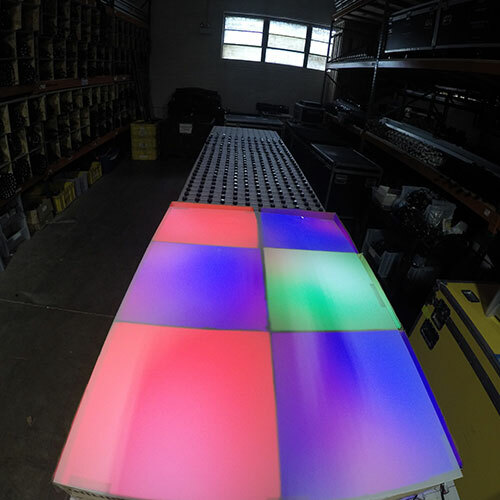 Feel free to contact us with any questions and the RGB Lights team will be happy to help! A well rounded and effective lighting maintenance program is composed of quite a few components. One of these components is group replacement. Instead of replacing one lamp at a time when a problem occurs, the maintenance team would service a specific group of lamps. The maintenance team is able to strategically group lamps to change at specific times to save you money. Knowing the type of lighting you currently have is another necessity. By knowing your equipment, its placement throughout the facility, lighting plan, fixture type, model number, manufacturer, and lamp information you will help the maintenance or service team to do their job much more effectively. Make sure that everything is working properly. This involves walking through and making sure that all the lamps are working as they should and that the accessories associated with the lamps are working properly as well. During this evaluation, be sure to check the outside lights while you’re at it. Plants and other outdoor items outside can be blocking the light from working properly. As a result of weather and lawn care, chemicals and other debris can also stop a fixture from working. Note these issues that need to be addressed so you are getting the most out of your lighting system. By maintaining and servicing your lighting system properly, you will ultimately be extending its life. Which in return will save you headaches, time, and money. When finding a company, take the time to do thorough research to find one you trust. RGB Lights is here to service all your lighting needs. When working with us, we will do everything in our power to perform great lighting service and maintenance. We currently service the brands listed below along with many others. Click on the service link for more information. If you don’t see what you’re looking for in the list above, that is ok. Please give us a call so we can discuss all of your options. We are dedicated to servicing our new and existing customers to the best of our ability. You can find our contact information on the Connect page of our website. We look forward to hearing from you soon!